13 straight seasons of 32 or more wins! 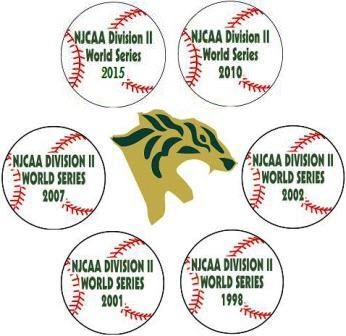 The Cougars have enjoyed tremendous success over the past 16 seasons; All of those years, we were ranked in the top twenty of the nation, including a Number 1 ranking in 2011 along with 6 trips to the National Junior College Athletic Association Division II World Series and one trip to the national title game in 2002. Think you've got what it takes to be a Cougar? Complete and mail our Prospective Student/Athlete Information Form. For a complete list of sponsors and information about becoming a Cougars sponsor, visit our Sponsors page. Colby Maun is Heading to Wilson College! Mitch Long is Heading to Francis Marion University! Jared Mouton is Heading to Frostburg State University! Hayden Kissel is Heading to Ashland University! Jett Manning Drafted in the 20th Round by the SF Giants!